In August 2017 on the western coast of Africa, an innocuous tropical wave formed and wandered out into the open Atlantic Ocean. What became a tropical depression entered the Gulf of Mexico nine days later. In fewer than 48 hours, that tropical depression exploded into a Category 4 hurricane with Texas set firmly in its crosshairs. America watched helplessly on Aug. 25 while under the cover of darkness, Hurricane Harvey slammed into the Texas coast with wind speeds of 130 miles per hour and, in some areas, a storm surge as high as 12 feet. Over the following days, Harvey hovered over Texas, dumping 51 inches of torrential rain onto the Houston area, resulting in disastrous flooding. In every way, Hurricane Harvey lived up to its forecast of a catastrophic storm. It’s hard to imagine what those on the coast must have suffered over those days and the following weeks and months. While we saw the images on the news and heard accounts of devastation, most of us didn’t live it. Yet tens of thousands of Texans most certainly did. Harvey was big, and in one way or another, all of us felt small. What difference could we make in the face of such overwhelming disaster? 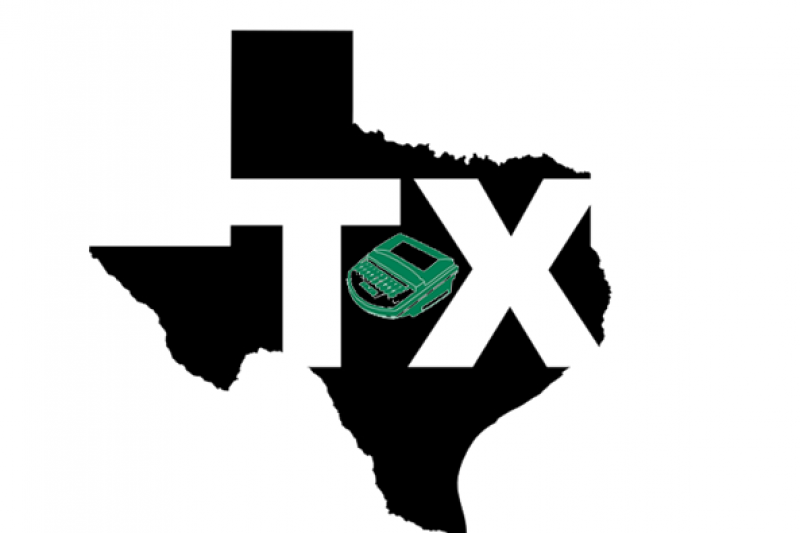 The Texas Court Reporters Association (TCRA), recognizing the immediate need of our fellow reporters of south Texas, set up a GoFundMe account and at the board of directors meeting in September created the disaster relief task force. The task force was charged with collecting and distributing funds so that those who needed assistance could realize it swiftly. 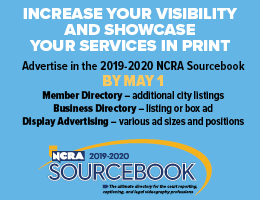 Whether they were Texans or not, TCRA members or otherwise, court reporters answered the call by giving of their resources generously, including donations from reporters in areas as remote as New York City. Those of us serving on the TCRA Board, while not surprised, were humbled to be reminded that we’re members of a greater court reporting community that recognizes no state boundaries and represents a culture of character and compassion. At final tally, donations to TCRA’s disaster relief effort totaled over $16,000. Eleven applicants requested assistance, their needs and names held in strict confidence by the task force out of respect for the applicants’ privacy, and the funds were equally distributed among them. As soon as the checks went out, heartfelt gratitude to the task force poured in. Its purpose met, the task force was dissolved at the November meeting of the Board of Directors. To the task force members — Lorrie Schnoor, RDR, CRR; Sonia Trevino; Cathy Busa, RPR; Kathleen Ullrich, RPR, CRC; and Linda Kaiser, RMR, CRR — TCRA thanks you for a job well done. To those who contributed to the court reporters of south Texas, whether through your thoughts and prayers, your financial contributions, or both, you made a difference. Thank you. To those of you who were impacted by Hurricane Harvey, thank you for reminding us that tough times don’t last; tough people do. We hope your struggle is eased and that you’re well on your way to complete restoration. Know that you are in our continued thoughts and prayers. Finally, to those of you nationwide who make up this fine court reporting family and fill us with pride, thank you — with love from TCRA. Laquita Dettman is an official reporter in Midland, Texas. She can be reached at laquita.dettman@yahoo.com. A similar article was originally published in TCRA Today on Dec. 19, 2017. In a press release issued Sept. 23, Herder & Associates Court Reporting, based in Phoenix, Ariz., announced that through its association with Rotary International, it has contributed to aid those affected by the recent hurricanes and urges others to do the same. Call your insurance agent immediately and report the flood event and get your claim number. Keep that claim number in a safe place. Be sure to get permission to remove carpet, flooring, etc. if you get any hesitancy from your agent, mention the word mold, and that usually gets you permission rather quickly. You need to get that out and to the curb as soon as possible. Contact a water restoration company immediately. They will remove your flooring, but it’s at a premium price. If you can get friends or family to help you get it out, it is better as far as mold goes. We have used Servpro in the past, and they were approved by our insurance company. One thing that they now require is the homeowner has to front the money and wait to be reimbursed by the insurance company. Depending on the size of your home, it can cost thousands of dollars. Find a contractor that you trust and ask him or her to come out as soon as possible. It is imperative that you start looking immediately, as time is of the essence in securing one. Be sure to take pictures of everything. And then take more pictures. You will never be able to remember all the things that you had to throw out when it comes to filling out the contents portion of your claim. This includes paper towels, toilet paper, food in your refrigerator or freezer, etc. Try to take a picture of brand names of rugs, furniture, bedding, etc. You will need to list it on your contents claim. Be prepared for the insurance company to ask you to supply pictures. You cannot have too many pictures. I’m stressing that for a reason. Anything that touches water needs to be replaced. Stand your ground on this. Also, contact a dumpster company and get a dumpster reserved. You will need a place for Sheetrock, appliances, toilets, anything in your home that will be thrown away due to water intrusion. Your insurance company will have an adjuster contact you within 24 hours. Once you talk to him or her, they will make an appointment to come assess your property. They will give you FEMA information and also their contact information. Be sure to get his or her cell phone! You will have questions, and you can call or text the adjuster personally. They will make another appointment to come back and measure your entire property, inside and out, and have to get you back your Proof of Loss within two weeks. This is why you want to have your contractor come out and give you an estimate of what your costs will be for getting your home back in order. Time is of the essence. You will get Proof of Loss for the building portion first. It will have each room detailed with what the insurance company thinks should be replaced. It is very detailed and allows the homeowner to see exactly what they are being paid for each room. 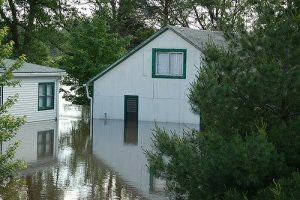 The homeowner will then need to get their contents claim to the adjuster so he or she can get it approved and the homeowner knows what the budget is for replacing contents lost due to the flood event. Beware: One thing flood policies do not reimburse you for is room and board. Be sure to keep receipts for every meal you eat out due to not having a working kitchen, and if you have to stay in a hotel or rent an apartment while your home is being repaired, keep all those receipts. Give them to your accountant with your end-of-year information. Be prepared to be out of your home for six months. It’s a slow process, and you want things done right. Kelly Hanna, RMR, CRR, CMRS, is a reporter and agency owner in Houston who has been flooded twice before. 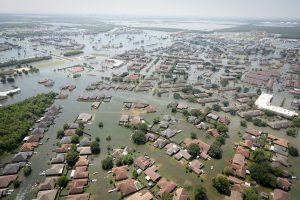 The Texas Deposition Reporters Association originally linked to this article on their website in response to the aftermath of Hurricane Harvey. Hanna can be reached at kelly@hannareporting.com. 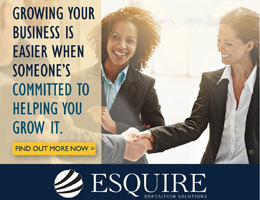 When Laura Grosso, head of Pennsylvania-based ERSA Court Reporting, turned to cloud solution provider Broadview Networks for business telephone and hosted IT services in mid- 2012, a natural catastrophe was not top of her mind. However, when Hurricane Sandy swept through the Northeast United States in late October 2012, Grosso discovered that Broadview’s services also ended up playing a key role in preventing this natural disaster from decimating her business. Fortunately for ERSA, neither of its offices was damaged in the storm, and the reporters were able to get back to business as usual within days. “For us, it was all about preparedness and knowing what the customer is going to need. I’m very well protected, and I’m very proud of the fact that my IT team takes very good care of me, and Broadview takes very good care of me,” said Grosso. For many small businesses, a disaster can end up being the end of their operations or the beginning of the end. According to statistics from the Federal Emergency Management Agency, 40 percent of businesses do not reopen after a disaster, and of those that do reopen, 25 percent fail within one year. The businesses that do manage to survive a disaster, natural or otherwise, are often the ones that have taken the time to think about what could happen. That doesn’t necessarily mean spending vast amounts of resources on additional servers or technology or insurance, but, as Grosso notes, it does require some form of planning. “You have to think of what might be the next thing to come down the pike,” she says. Because they’re usually in charge of potentially sensitive testimony as well as other important legal information, court reporting firms often have to do a lot more than keep the lights on and phones working when a disaster strikes. 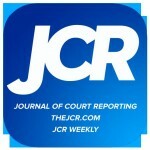 Jason Primuth, executive vice president with NexGen Reporting, which has offices both on the East and West Coasts, points out that for any reporting firm, priorities one, two, and three in any disaster have to be about protecting their client’s information and data, including transcripts and CAT files. When it comes to business disasters, it’s often natural catastrophes that come to mind: earthquakes, hurricanes, blizzards, fires, or tornadoes. But Diana Karge, president of Amicus Court Reporters in Chicago, points out there are many types of disasters, including problems that you may never anticipate. Karge says that following that reporter injury — as well as a previous incident in which a fire damaged the files of a law firm that was a key client — she decided to get proactive when it came to disaster-proofing her business. Karge now speaks on the issue of disaster proofing a court reporting firm, giving presentations across the country to groups such as the Deposition Reporters Association of California. During these presentations, Karge says she focuses on a variety of issues, including keeping up-to-date contact information on landlords/building owners, bankers, and the companies that supply paper to the office. Firm owner Rosalie Kramm, RPR, CRR, based in San Diego, Calif., says she began developing a business continuity plan a decade ago after attending some business classes, in which other small business owners — none of whom were in court reporting or legal services — all stressed the importance of disaster preparedness for their companies. Kramm Court Reporting was founded in 1985 and is now housed in a building, which Kramm owns, that is designed to sway, but not crumble, in the event of an earthquake. Even in this electronic era, Kramm says her business continuity plan does mandate keeping paper copies of some key information, just in case the power goes out. “Every day, we print our Future calendar, so we have a printed copy of that — and I do have a list of passwords related to our office that I print out every Friday and bring home,” she says. When it comes to protecting client data, Kramm notes that most independent reporters are very professional and therefore very conscientious about preserving their work. “But we do have some policies in place, and one of the things we do is if something is not written up, we ask our reporters to send us their notes and the CAT file to our server,” she says. “Most of them are so grateful to have another backup.” She added that during regular meetings with her staff and freelancers, the reporters often take great pride in describing the lengths they go to to protect their work. Crotty of Broadview points out that while events such as Hurricane Sandy are often the catalyst that gets businesses thinking more about disaster avoidance and the need for business continuity plans, his pitch to companies large and small is that many of the moves that will protect them in a natural catastrophe will also help run their day-to-day business a lot more efficiently. Karge adds that having the right business continuity plan and the expertise to talk confidently about data protection can also be a great selling point for a court reporting firm. David Ward is a freelance journalist from Ramona, Calif.